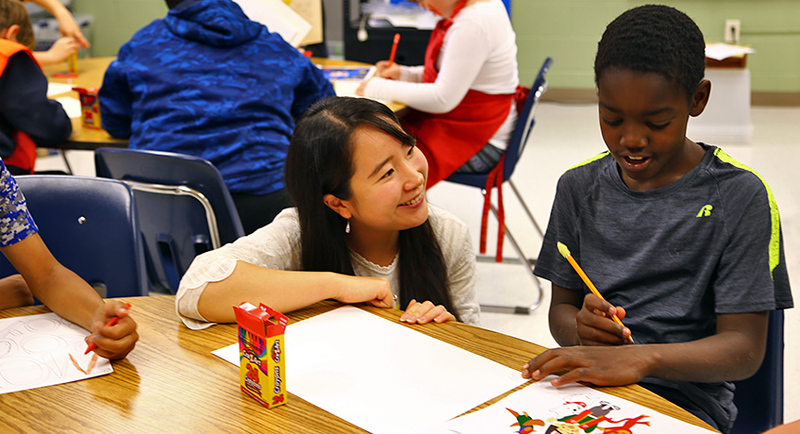 The Education Grant program supports nonprofit organizations to assist K-12 students, teachers, and the community to deepen their understanding about Japan, promote cross-cultural exchange, and nurture global perspectives. Project examples include but are not limited to: community outreach, teacher workshops, cultural events. Project must commence between April 1, 2019 and March 31, 2020. Preparatory activities can be included in the time frame of the project. The applying institution must be exempt from Federal income tax under section 501(c)(3) of the Internal Revenue Code. A minimum of 20% of the total project budget must be secured from non-CGP sources. Previous CGP grantees are eligible to apply again if the proposed project includes a new target audience and/or contains substantial changes. However, CGP will not support the same project beyond three years. Educational outreach projects such as lectures about Japanese culture and society or teacher workshops on how to teach Japanese culture and society are the main target for funding. Ongoing and annual events are less priority. Projects that are limited to the scope of a single school or single day will also be considered less of a priority. To apply for the Education Grant, please refer to the application checklist and send a complete package of all following materials to the address below. Please describe your project in as much detail as possible. The narrative must include all of the following: project background and rationale, project activities, project timeline, anticipated impact including the number of people served by the project, dissemination plan, anticipated outputs, and future plans for sustainability of the project. Please submit the CVs of the project director and all key participants. Please submit a complete budget showing the entire cost of your project. A MINIMUM of 20% of the total project budget must be secured from non-CGP sources such as the applying institution or other foundations. Each line item must include a detailed breakdown. CGP is able to cover direct costs (reasonable costs directly related to the proposed project). Examples of direct costs include salary & honorarium, travel expenses, publication costs, conference room rental fees, etc. CGP cannot cover indirect costs or support for capital funds and endowment drives, rent, the procurement of equipment, etc. CGP welcomes applications on a rolling basis. Applications must be submitted at least 2 months prior to the projects start date. Applicants will receive notification of the funding decision 1-2 months after submission.